Archives & Special Collections has many archival collections relating to the ANCSA, ANILCA, and the D-2 clause of ANCSA, listed below in alphabetical order by creator. Follow the links to a more complete listing of the collection contents. Follow the links to collection descriptions and inventories relating to the Alaska Native Claims Settlement Act (ANCSA), the Alaska National Interest Land Conservation Act (ANILCA), and the D-2 clause of ANCSA. You can keyword search all of our collection descriptions and inventories by using the search box available on each of the pages below. Alaska Center for the Environment records; 1971-1992. HMC-0005. The Alaska Center for the Environment was established in 1971 as a conservation lobbying organization and is involved in monitoring environmental and conservation issues in Alaska including air pollution, toxic waste, mining, the Trans-Alaska Pipeline System, oil and gas development, and land use planning. This collection contains the organization's early operating records, including many papers documenting D-2 lands and the Alaska National Interest Conservation Land Act. Alaska Native Association of Oregon records; 1971-1977. HMC-0021. The Alaska Native Association of Oregon (ANAO) was incorporated in 1971 as a non-profit organization dedicated to encouraging Alaska Natives to take pride in and preserve their customs, folklore, and art, to promote their physical, economical, and social well-being, to discourage racial prejudice and inequities, to and to promote good government. ANAO participated with the Alaska Federation of Natives, International in a suit against the Secretary of the Interior, Rogers Morton, in 1973 which brought about the establishment of a thirteenth regional corporation for Alaska under the Alaska Native Claims Settlement Act. The organization then went on to participate in the enrollment of Alaska Natives living outside of the state. This collection includes papers on the lawsuit between ANAO and the Secretary of the Interior, as well as other papers concerning the organization's activities between 1971 and 1977. Alaska Native Health Career Program records; 1971-1985. UAA-0094. The Alaska Native Health Career Program was created in 1974 to promote the health and well-being of Native people by establishing the Native-operated and managed health care system and developing efforts to promote Native involvement in medical and dental professions. The collection contains, among many other papers, a summary of the Alaska Native Claims Settlement Act. H.A. "Red" Boucher papers; 1942-1995, bulk 1978-1990. HMC-0510. This collection contains papers and files relating to the public career of H.A. "Red" Boucher. Included in the collection are the D-2 lands project. American Society for Public Administration, Southcentral Alaska Chapter symposium records; 1974. HMC-0044. This collection documents a symposium sponsored by the South Central Alaska Chapter of the American Society for Public Administration in 1974 in the wake up the Alaska Native Claims Settlement Act. The symposium's purpose was to establish a dialogue about setting up a coordinated land management system between federal, state, and local government, and private landowners. The collection consists of the symposium program and twelve videotapes of the proceedings. Neil Risser Bassett papers papers; 1940-1991. HMC-0377. Neil Bassett (1928-1990) worked for the Alaska Office of the U.S. Department of the Interior, Bureau of Land Management, first as Chief of the Lands Branch (1967-1970) and later as Chief of the Branch of Lands and Minerals (1972-1985) in the Resources Division. One of his major responsibilities was as a coordinator for the Alaska Native Claims Settlement Act. His papers include photographs of ANCSA hearings and extensive papers documenting the ANCSA implementation program and the BLM's involvement. Alice E. Brown papers; 1965-1973. HMC-1060. Alice Elissa Brown (1912-1973) was was a Kenaitze tribal member who served on the board of director of the Alaska Federation of Natives and as chairman of the Alaska Native Political Education Committee, among other positions. Brown also worked in support of the Alaska Native Claims Settlement Act, and her collection contains her papers on Alaska Native Land Rights legislation, including drafts of ANCSA federal and state legislation. H. A. “Red” Boucher political papers; 1958-1995. HMC-0420. "Red" Boucher (b. 1921) served as a member of the Fairbanks City Council (1961-1964) and mayor (1966-1970), then as lieutenant governor of Alaska from 1971-1974 under Governor William Egan. He was later elected to the Alaska House of Representatives where he served from 1984-1990. The collection contains papers documenting Boucher's public career, including materials on the D-2 lands project and the Alaska National Wildlife Refuge (ANWR). Bristol Bay Native Association records; 1968-2004. HMC-0075. The Bristol Bay Area Development Corporation (later the Bristol Bay Native Association) was founded in 1969 to promote economic, community, and regional development in the Bristol Bay area by providing better housing, health services, education, and job training and employment for local Alaska Natives. This collection primarily contains organization records but also includes correspondence between the association and state and federal agencies regarding the Alaska Native Claims Settlement Act. Jay S. Hammond papers; 1946-1993. HMC-0442. Jay Sterner Hammond (b. 1921) was an Alaska legislator who served as a state representative from 1959-1965, state senator from 1967-1972, as mayor of Bristol Bay Borough from 1972-1974, and governor of Alaska from 1974-1982. His papers document his life and political career, including correspondences, notes, briefing papers, reports, clippings, speeches, and columns on D-2. John S. Hellenthal papers; 1907-1988. HMC-0447. John Simon Hellenthal (b. 1915) served as state representative in the Alaska legistalture from 1959-1962 and remained active in Alaska politcal matters until his death. The collection contains a file of information kept by Hellenthal about the Alaska Native Claims Settlement Act. David M. Hickok papers; 1923-1992. HMC-0408. Dave M. Hickok (b. 1924) served as director of the Arctic Environmental Information and Data Center, University of Alaska from 1972-1988, among many other positions. This collection includes, among other papers, Hickok's research files on the Alaska Native Claims Settlement Act, as well as related papers on the Alaska National Interest Lands Conservation Act, D-2 lands, Alaska Native organizations and issues, the National Petroleum Reserve in Alaska, and the Arctic National Wildlife Refuge. Roger Lang papers; 1966-1978. HMC-0158. Roger Lang was an Alaska Native leader involved with several Native organizations in southeast Alaska. His collection includes many documents related to the development of Alaska Native corporations, and a set of computer printouts of applicants for Alaska Native enrollment claims, dating from 1972-1973. Donald Mitchell oral histories; 1971-1999. HMC-1099. This collection contains oral history interviews and programs recorded by Mitchell during his research for his books Sold American: The Story of Alaska Natives and their Land and Take My Land Take My Life: The Story of Congress’s Historic Settlement of Alaska Native Land Claims. National Audubon Society, Anchorage Regional Office D-2 subject files; 1970-1981. HMC-0185. This collection contains subject files on D-2 lands collected by the Alaska Regional Office of the National Audubon Society. The files contain correspondence, speeches, press releases, legislation, reports, newspaper clippings, and other materials covering various D-2 related subjects including: citizens' views, commercial fisheries, easements, lands, lobbying, meetings, monument proclamations, native views, proposal areas, refuges, sport hunting, and state views. Randy Phillips papers; 1977-2003. HMC-0603. The legislative records of this Alaska House and Senate member contain a few subject files on D-2. Rural Alaska Community Action Program (RurALCAP) records; 1965-1981. HMC-0213. This collection contains RurALCAP's early organizational records, including papers documenting changes in rural Alaska following the implementation of the Alaska Native Claims Settlement Act and D-2. Thirteenth Regional Corporation records; 1971-1992. HMC-0390. 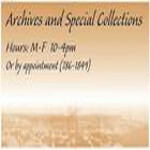 This collection contains records relating to the administration and operation of the Thirteenth Regional Corporation, the last of the regional corporations formed by Alaska Natives as a result of the 1971 Alaska Native Claims Settlement Act, Public Law 92-203. The records include papers relating to the management of the corporation, corporate finances, subsidiaries and business ventures, law cases, corporate land claims, and corporate publications, including photographs and videotapes. There is also material relating to D-2 lands, ANCSA, and its amendments. UAA. Institute of Social and Economic Research (ISER) Alaska Native Claims Settlement Act research files; 1953-1989. UAA.0100. This collection contains the research materials gathered and produced by ISER regarding ANCSA issues. Many of the materials were gathered while preparing research papers on the development and effects of the passage of the Alaska Native Claims Settlement Act.